Just a few days ago, our driveway was a glorious blaze of reds, yellows, and browns. Leaves everywhere, rustling as I walked down to the mailbox. I knew it was time to put away my Halloween quilts and decorations and took a few final pictures. Whenever I finish a project, there always seem to be enough left-overs for a small quilt. Not far from my house, there's a place where bittersweet grows and I picked some yesterday. 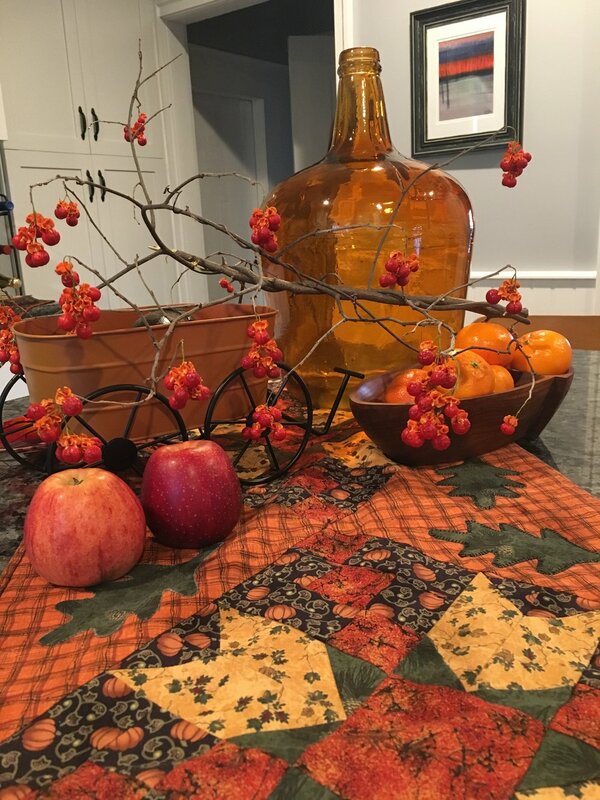 The colors are perfect with my fall table runner. 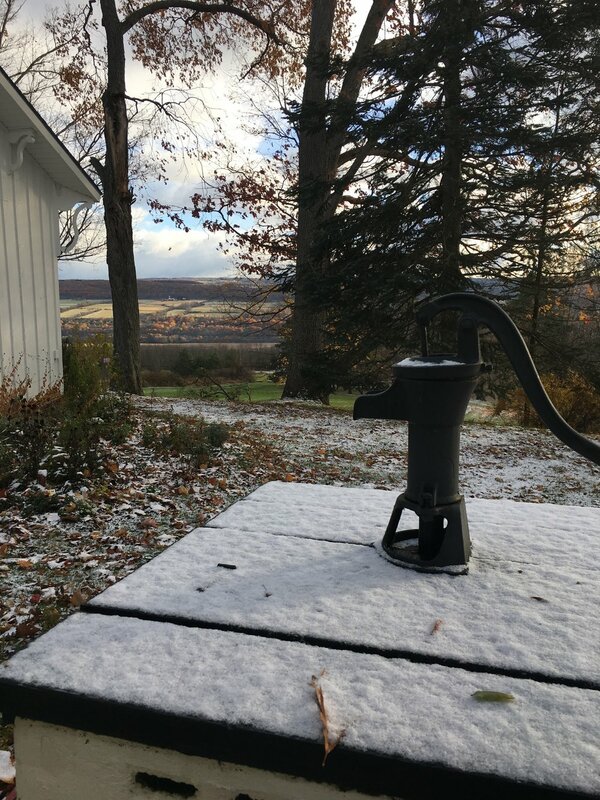 And then, this morning: the first snowfall. I guess that means I have to hurry up and complete my Christmas projects!